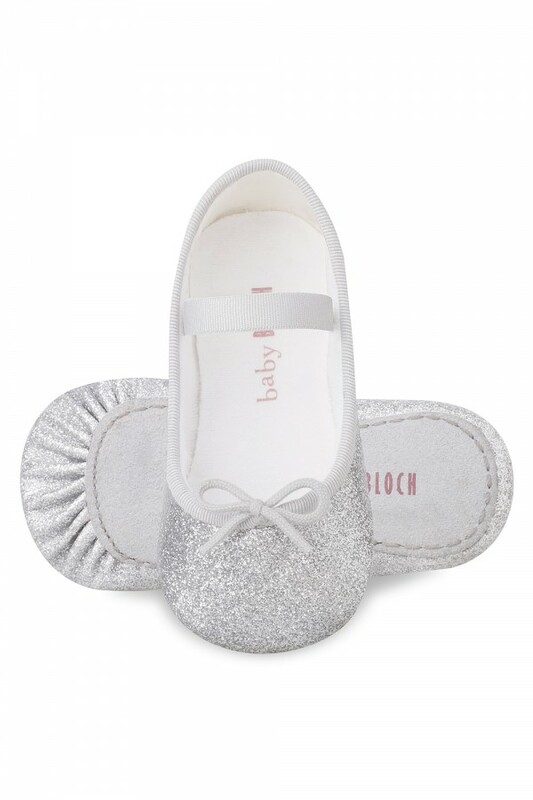 Add a little extra sparkle to your tiny tot's wardrobe! 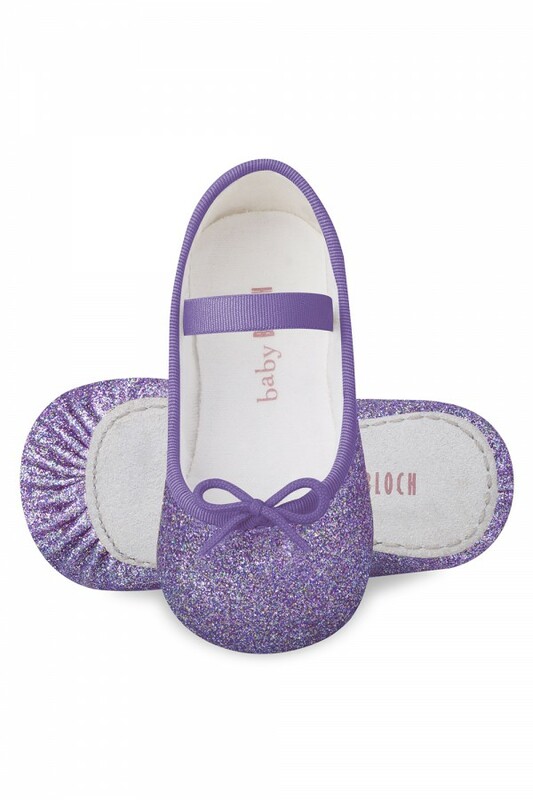 Super cute patent glitter ballet flat features are feather-light and crafted for the comfort, style and protection of your baby's developing feet. A fleecy 100% cotton lining ensures your tiny tot is comfortable and protected with a suede leather outsole offering extra durability. A single elasticised strap across the foot holds the shoe firmly in place.